Elsevier, a world-leading provider of scientific, technical, and medical information products and services, has announced that noted cardiologist Valentin Fuster, MD, PhD, Editor-in-Chief of the Journal of the American College of Cardiology (JACC) was recently awarded the Gran Cruz de la Orden Civil Sanidad (Grand Cross of the Civil Order of Health) by the Spanish government. This is the highest civilian award granted in recognition of an individual’s outstanding achievements in the field of healthcare. 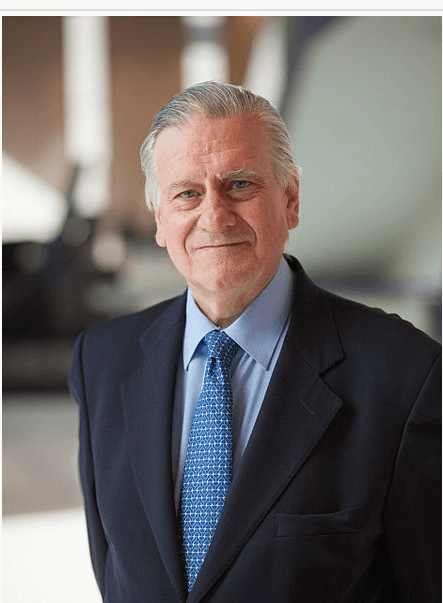 A statement issued by Spain’s Ministry of Health, Social Services and Equality recognized Dr. Fuster’s significant contributions throughout his professional career to the advancement of cardiology research, the prevention and treatment of cardiovascular disease, particularly coronary artery disease, atherosclerosis and thrombosis, as well as his commitment to public health initiatives. Often honored by his peers, Dr. Fuster has received the highest awards for research from the four leading cardiovascular professional organizations: American Heart Association, American College of Cardiology, European Society of Cardiology and Interamerican Society of Cardiology. After qualifying in medicine at the University of Barcelona, Dr. Fuster continued his studies in the United States. Currently he serves The Mount Sinai Medical Hospital as Physician-in-Chief, as well as Director of Mount Sinai Heart, the Zena and Michael A. Wiener Cardiovascular Institute and the Marie-Josée and Henry R. Kravis Center for Cardiovascular Health, and is CEO of the National Center for Cardiovascular Research (CNIC). He is also the Richard Gorlin, MD/Heart Research Foundation Professor, Icahn School of Medicine at Mount Sinai. He has been awarded honorary doctorates at 33 universities. Prominent positions Dr. Fuster has held include President of the American Heart Association, President of the World Heart Federation, member of the Institute of Medicine of the US National Academy of Sciences, member of the US National Heart, Lung and Blood Institute and President of the Training Program of the American College of Cardiology.